On September 24, the Pope and Young Club (P&Y) assembled a Special Panel in Windsor, Colorado, to officially measure a new potential World Record Alaskan brown bear shot by Chris Cammack on the Alaskan Peninsula in May 2018. 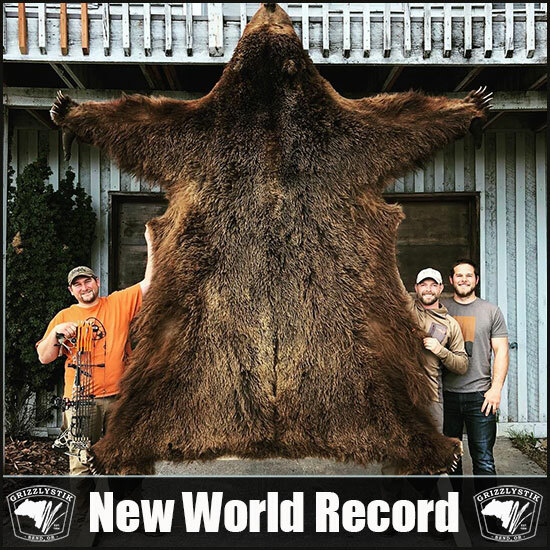 The bear’s original score of 29-4/16 inches, was confirmed by the three-member panel of judges, exceeding the previous record (shot by Jack Brittingham in 2004) by only 1/16-inch. 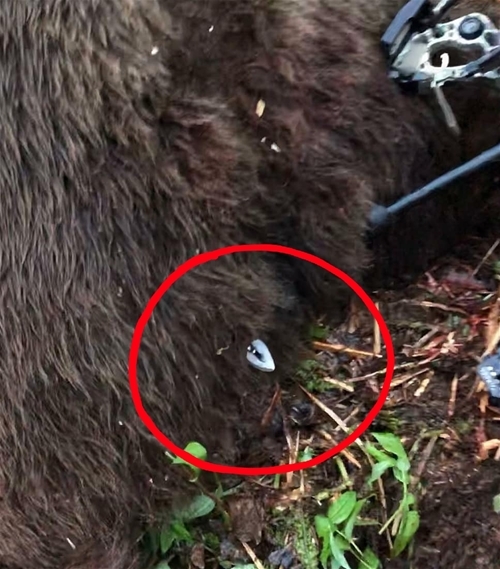 Cammack shot the bear at 14 yards using a Mathews bow and a 650-grain GrizzlyStik arrow and broadhead system recommended by his guide, Cole Kramer. Chris elected for a frontal shot at 14 yards. This is where the 650 grain GrizzlyStik System stoped when it was all said and done. Over 8 1/2' of arrow penetration in the worlds largest archery brown bear! The world-record will be formally awarded and the skull from Cammack’s bear displayed during the Pope & Young Club 31st Biennial Convention and Awards Banquet in Omaha, Nebraska, April 10-13, 2019. STOP shooting at Whitetails & START shooting through them! The GrizzlyStik system: GrizzlyStik single bevel forged Ashby broadheads and GrizzlyStik Momentum tapered carbon arrows are a lethal system for big game hunting. When you want to put your game down fast and for keeps - Go with GrizzlyStik. When your guide, PH, or outfitter recommends GrizzlyStik arrows and broadheads - Trust Your Guide & Trust GrizzlyStik. the GrizzlyStik 650 system on plains game. GrizzlyStik system and Maasai Broadhead. This video checks off the three of the GrizzlyStik guiding principles. 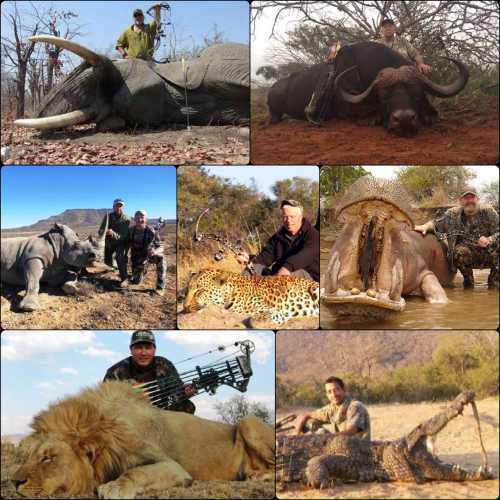 First, we feel a deep responsibility to quickly and ethically put down the animals hunted with our gear. 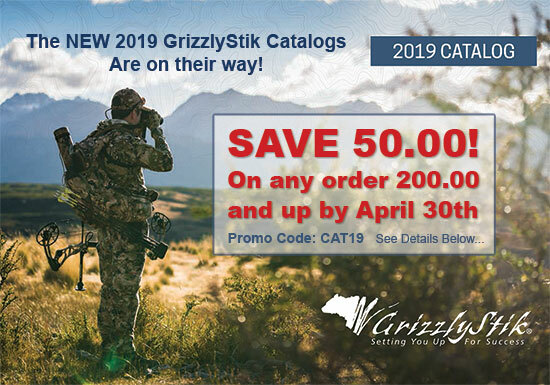 Second, is to help make guides and PH’s jobs easier (arrow penetration) and finally to deliver success for our customers that place their trust in GrizzlyStik.